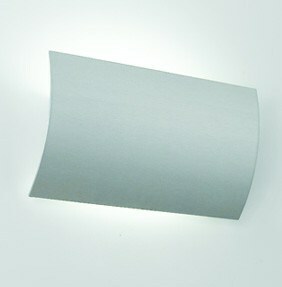 Alena shielded is a wall mounted luminaire for indirect incandescent or fluorescent lighting. Alena shielded features a floating panel of brushed aluminum with a brushed and anodized face plate. Mounting to standard electrical junction boxes.